Each year, the West Ashley High School DECA club hosts an annual 5k to fund raise for their international competitions. These students plan and organize the event all by them selves because the clubs objective is to enhance students leadership and experience in business! 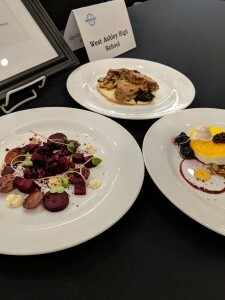 This year is the club’s 4th Annual W.A. 5K Dash Thru The Den and it is on Saturday, May 19th at 9AM at the Wildcat Stadium located at West Ashley High School. 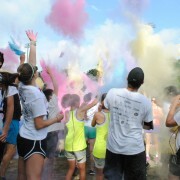 Also, this year is the second year that the event is a Color Run, so be prepared to get messy!! The cost is $25 for community members and you can sign up online or the day of- day of registration is $30. Day of registration opens at 8AM and online registration closes May 18th. To sign up go to bit.ly/2018WA5K. The focus is to give student members the skills needed to succeed at business. 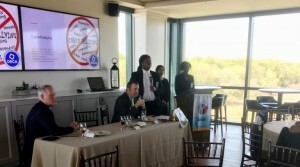 Their presentation gives students and members of the general public as well tips on how to use social media in ways that avoid unintended hurtful consequences. 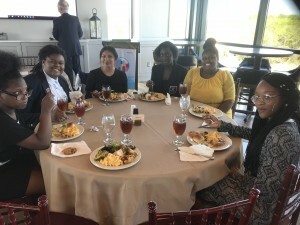 Congratulations to students from the James Island Charter High School FBLA Chapter, led by Angela Childs Kindred, on their terrific success at the recent South Carolina FBLA State Conference. 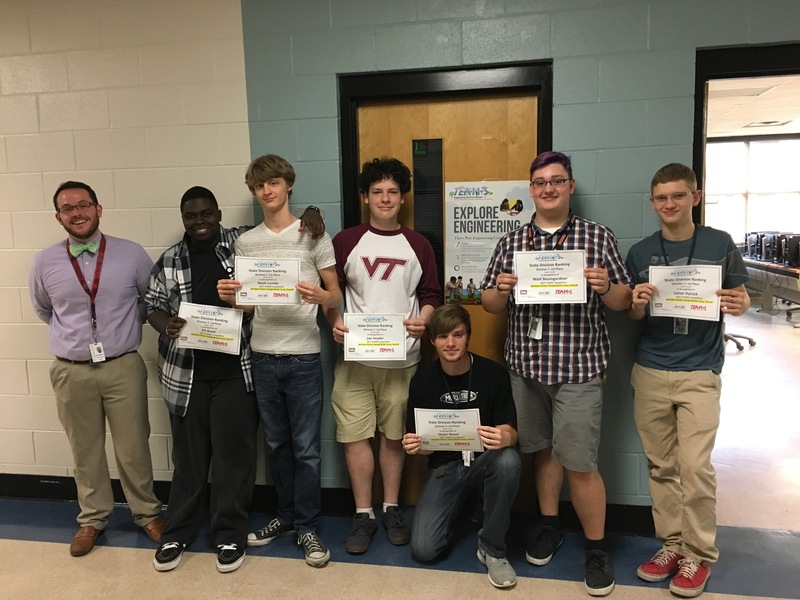 The following students earned the opportunity to advance to compete at the National FBLA Conference in Baltimore, MD in June. 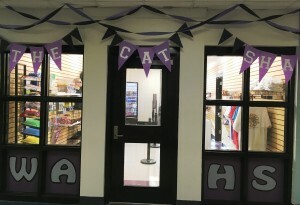 This week marked the reopening of the Cat Shack at West Ashley High School, the student run school store that offers logo apparel, snacks, and other items for students to purchase between classes and at lunch. 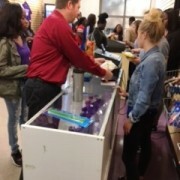 The students operating the store are overseen by Mr. Terry Stutts, the Marketing teacher and adviser for the WAHS DECA student organization. The Cat Shack’s profits help students participate in DECA events at the local, regional and national levels. The store recently got some welcomed upgrades, including a larger space and some new fixtures. “The students welcomed the reopening of the store this week and sales were brisk – we’re very thankful to have these renovations complete,” said Mr. Stutts. 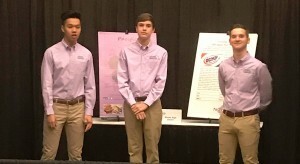 “The Cat Shack is owned and operated by West Ashley High School’s DECA Chapter. DECA is a club that prepares high school students to be leaders and entrepreneurs is marketing, finance, hospitality and management. 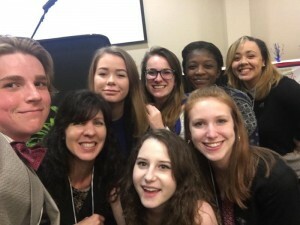 These students have the opportunity to take classes such as Marketing, Merchandising, Professional Development and Leadership, and Work-based Learning. All of these classes work together to manage and work in our recently renovated school store. 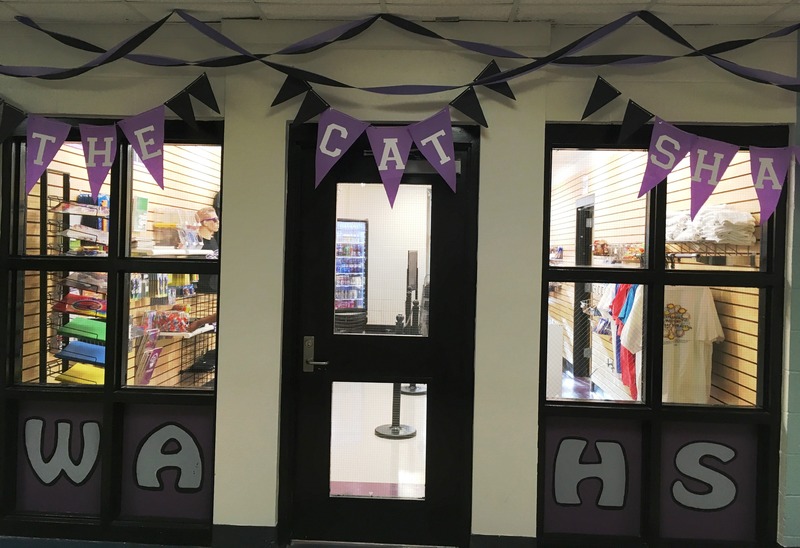 The Cat Shack is well positioned for another great year of sales at West Ashley High School, but the real winners are the students that get to practice customer service and other skills prized by local employers! At the South Carolina HOSA State Leadership Conference each chapter was asked to choose one student as their outstanding member. The Outstanding Member was someone who participated in all of their team’s events and activities. West Ashley High chose senior Laniya Correya as their Outstanding Member. 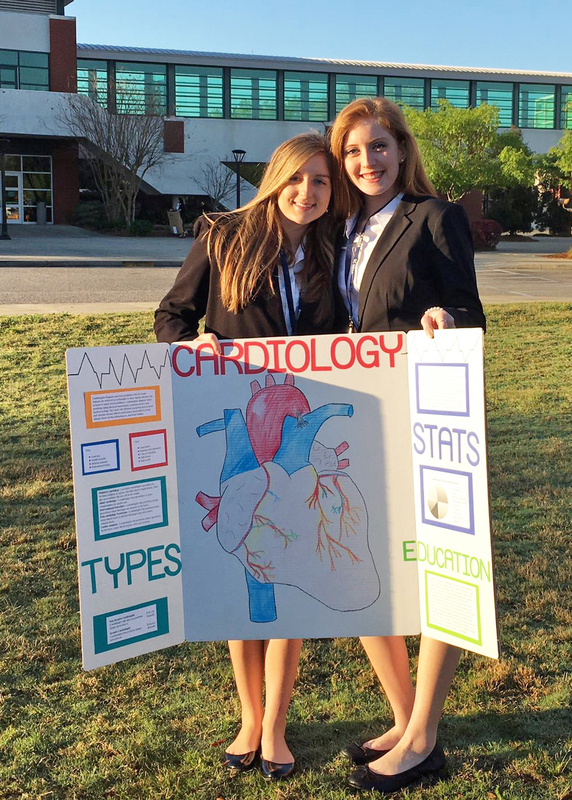 West Ashley High School’s Health Occupation Student Association (HOSA) team competed in the South Carolina Health Occupations Students of America State Leadership Conference. 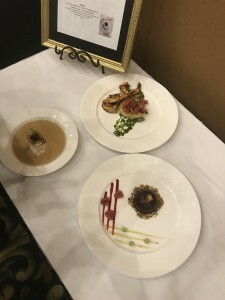 The conference took place at the North Charleston Convention Center where 1,400 students from all over the state competed in a total of 133 events. 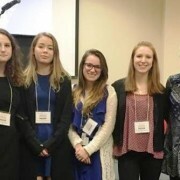 Student from Wando HS, James Island CHS, and Charleston Charter School for Math & Science were a few of the schools who competed from Charleston County. 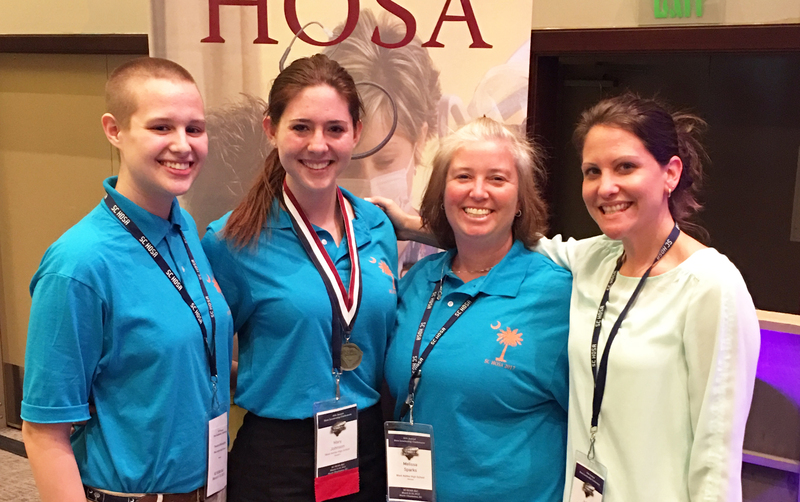 West Ashley High students Theo McLaughlin and Mary Johnson pose with HOSA Club sponsors Melissa Sparks and Julie Bamberg at the South Carolina HOSA State Leadership Conference. 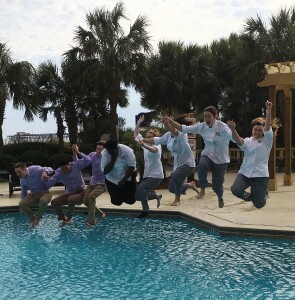 A total of ten students from West Ashley High competed in six different categories. 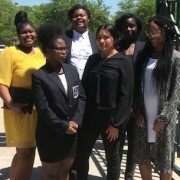 Ashley Duke, Keely Barton, Theo McLaughlin, and Laniya Correya competed in Medical Terminology Knowledge; Edith Mendoza competed in Dental Terminology Knowledge; Jasmine Lloyd competed in Medical Reading; Dazia Chandler competed in Sports Medicine; Mary Johnson competed in Behavioral Health Knowledge; and Olivia Brazelton and Alex Ryan competed in the Health Career Display Event. 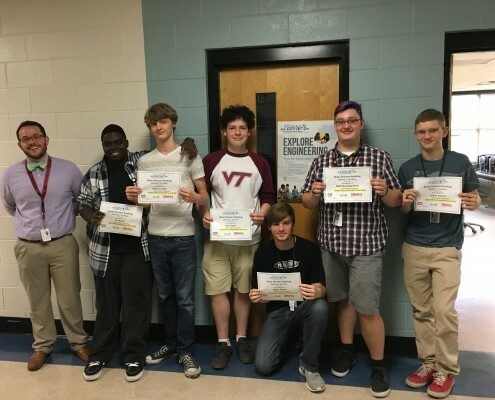 Most students trained independently to prepare for the competition with the exception of Chandler. She worked closely with Kristen LaSeta, West Ashley High Sports Medicine teacher and Physical Therapist, to prepare for the demonstration portion of her event. 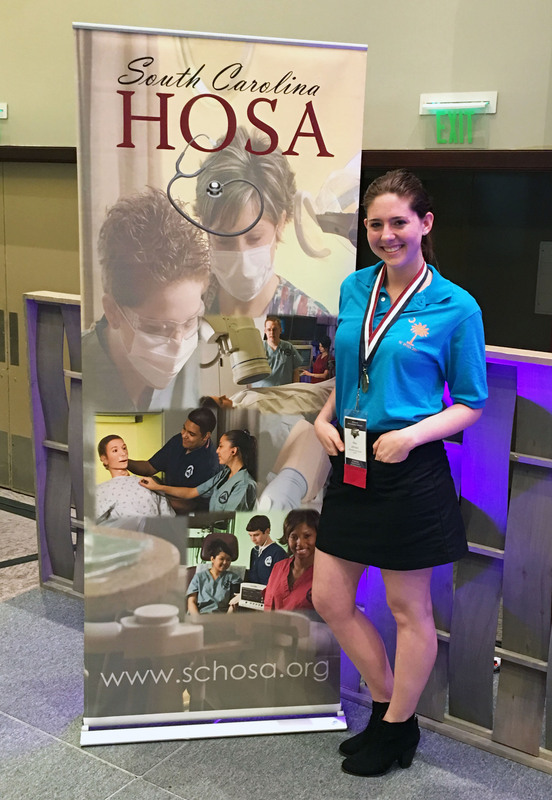 Senior Laniya Correya was recognized as HOSA’s Outstanding Member because of her participation in the events and activities of West Ashley High’s HOSA Club. West Ashley High senior Mary Johnson placed first on the Behavioral Health Knowledge Test at the South Carolina HOSA State Leadership Conference. Johnson will next represent West Ashley High at the HOSA International Leadership Conference at Disney’s Coronado Springs Resort in June. 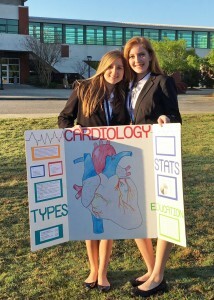 (L-R) West Ashley High students Alex Ryan and Olivia Brazelton display their Health Career Team event poster before their presentation at the South Carolina HOSA State Leadership Conference. Students from West Ashley High School recently participated in the annual state competition event for Technology Student Association (TSA). 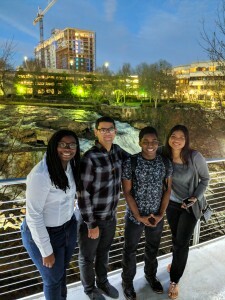 The Technology Student Association (TSA) is a national, non-profit organization of middle and high school students who are engaged in science, technology, engineering, and mathematics (STEM). 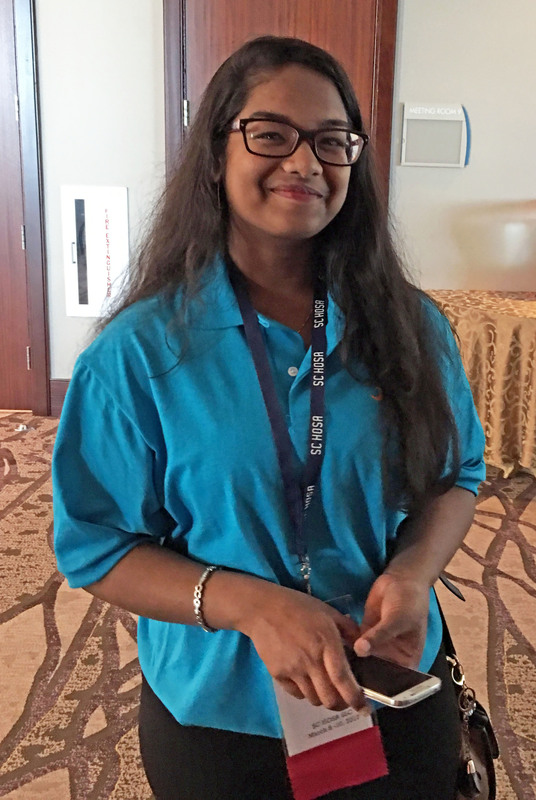 Since TSA was chartered in 1978, almost 4,000,000 student members have participated through challenging competitions, leadership opportunities, and community service. 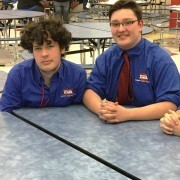 “One of our team members, Matt Baumgardner placed 3rd in the state for the Future Technology Teacher category. 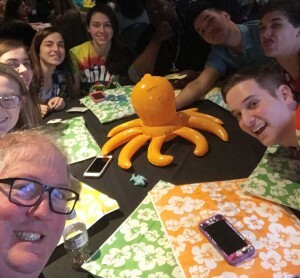 This was awesome considering it’s only our first year as a TSA chapter”, added Mr. Stone. In the Future Technology Teacher category, competing students investigate technology education preparation programs in higher education and test their potential as a future technology educator. 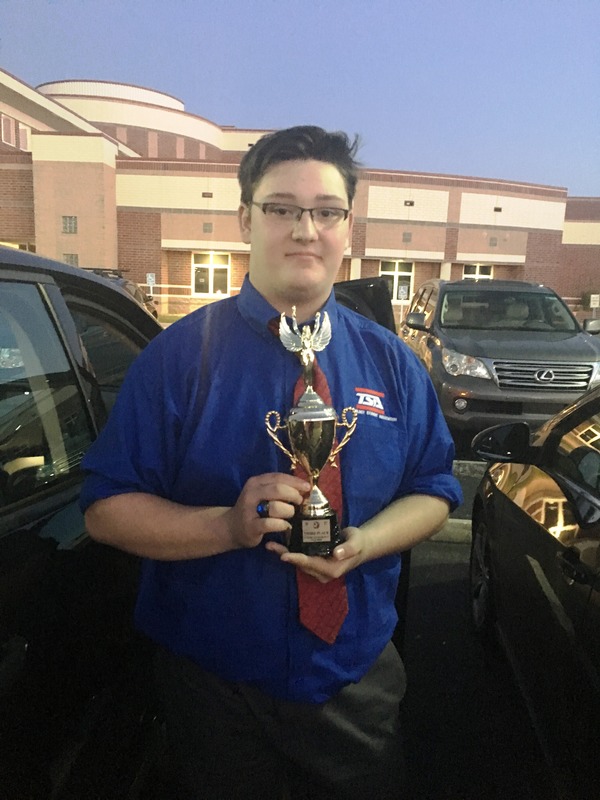 Thank you Mr. Stone for sharing this CTE Student Success Story, and congratulation Matt on your well deserved trophy – It’s wonderful that you’re preparing for a career working as a STEM Educator! “We got back the results from the TEAMS competition in Charlotte. These results took longer to get back because they are sent to the TEAMS national office to get scored and they compile a ranking list for all scoring categories by state. 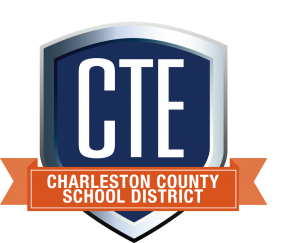 West Ashley HS ranked #1 in state for the multiple choice, essay, and the design & build portion of the competition! 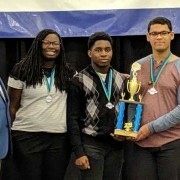 West Ashley HS also got 1st in state for overall ranking for South Carolina! Thanks to all that made this student organization opportunity possible! 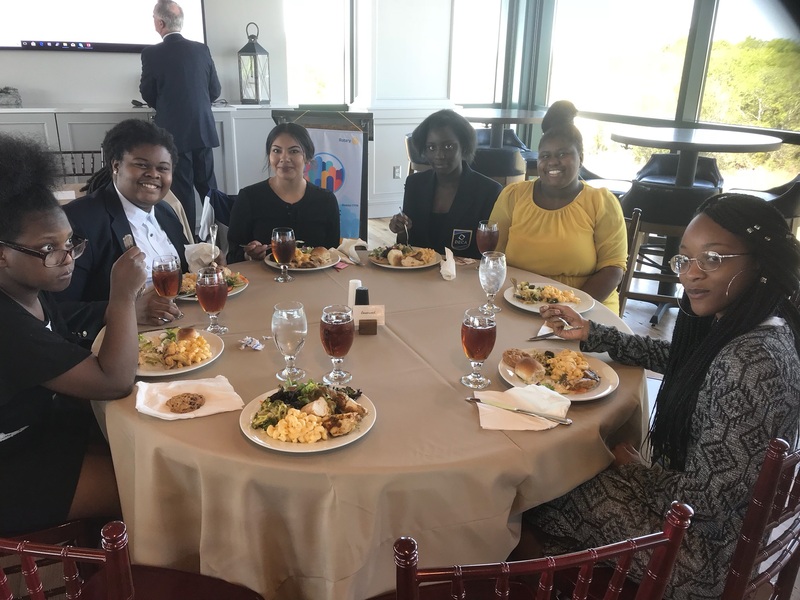 Congratulations to the James Island Charter High School chapter of FBLA on their success at the SC FBLA State Leadership Conference, held in North Charleston this past weekend! 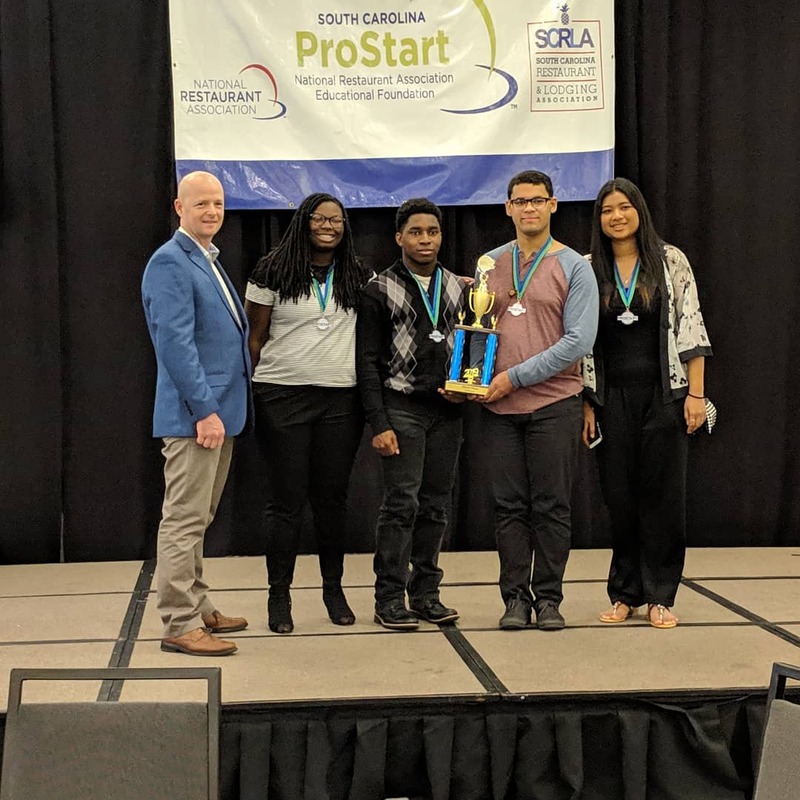 FBLA Adviser Ms. Angela Childs-Kindred reported the team did extremely well earning seven first place winners and one fourth place winner who will compete at the National Leadership Conference in Anaheim, California! All members competing at state conference placed in the top ten In their categories. 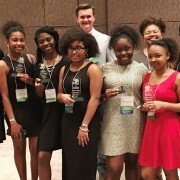 Students in the James Island Charter High School chapter of Business Professionals of America earned many awards at the BPA State Conference this past week in Rock Hill, SC. 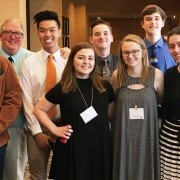 Business Professionals of America is a leading Career Technical Student Organization for students interested in management, office administration, information technology, and other related fields. 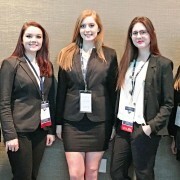 Three of our BPA students qualified for BPA Nationals in Orlando, FL! 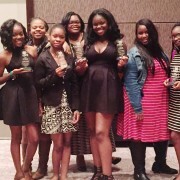 Congratulations to all that participated and earned awards, and special thanks to their JICHS teacher & adviser Ms. Dana Miley!